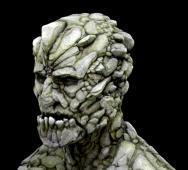 Don Michael Paul‘s Tremors 5: Bloodline (2015) may have hit some subtle bumps but the new horror movie is pushing forward with the new release date of October 2015 for Blu-ray, DVD and Digital HD. 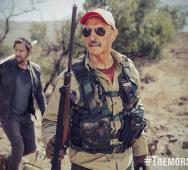 The new movie still features Michael Gross (just as much a staple on the franchise as the graboids themselves) is showing his hunting skills as he sizes up a graboid. Did you notice Jamie Kennedy in the background too? Also starring in Tremors 5: Bloodline are Natalie Becker. 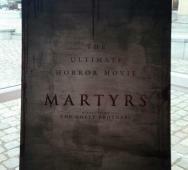 Martyrs Remake has been muttered in private circles for some time now but we now have some official news and sales artwork to share about the upcoming movie. This film is being called “the ultimate horror movie” which is a very big statement. 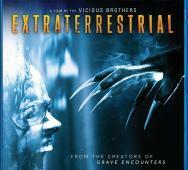 The Goetz Brothers (Scenic Route) will direct the remake on the original that was directed by Pascal Laugier. The producers attached have brought us popular horror movies like Paranormal Activity, Insidious and The Conjuring. Definitely a huge claim as “the ultimate horror movie” but maybe it will be high enough up there. Creepy flashback of The Purge (2013) underperforming in fan ratings come to mind, but it did kill at the box office regardless. Horror Block is a monthly subscription service that sends you a mystery box filled with horror related items monthly from the makers of Nerd Block. Usually, the box contains a horror magazine, collectibles including horror toys and other cool items. 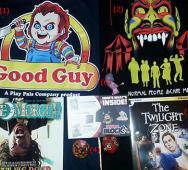 This month we received a whopping 2 T-shirts at the loss of the Funko POP! surprise character. I really like the Funko POP! characters personally. So let us get to the contents from this month’s Horror Block. 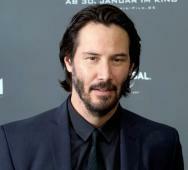 Keanu Reeves just delivered a killer performance in John Wick (2014) and it was just announced that he and Christina Hendricks, Jena Malone, Bella Heathcote, Elle Fanning and Abbey Lee will also star in Nicolas Winding Refn‘s new horror thriller movie The Neon Demon (2016). No official plot yet but Elle Fanning’s character will be an aspiring model who gets caught up in a world of beauty and demise. That is all the confirmed news right now. Look forward to more news on The Neon Demon as they are released. SGL Entertainment may have a real treat for us with their upcoming TV series, The Omega Files TV Series. The Omega Files TV Series will be releasing on “all media” I cannot wait to check it out. Massimiliano Cerchi will direct and Executive Producers include Max Cerchi, Jeffrey A. Swanson and Damien Dante. I am not a fan of the poster but the Snake Woman and Rock Man are fantastic. New Trailer for The Lazarus Effect (2015) Looks Awesome! David Gelb‘s The Lazarus Effect (2015) looks really awesome and the latest trailer makes this a must see horror movie of 2015, yeah… I said it. The trailer shows the beginning and then breaks down the three phases till the full evil is released. Jason Blum and Blumhouse Productions did a fantastic job. Cast in The Lazarus Effect are Evan Peters, Olivia Wilde, Mark Duplass and Donald Glover. A&E‘s Bates Motel Season 3 is set to premiere this upcoming Monday March 9, 2015 at 9:00 ET/PT. This season teases even more creepiness from returning cast members Freddie Highmore, Vera Farmiga and Max Thieriot. I have to admit that I trailed off a bit on the last season but I did make it halfway through, just need to watch the rest before this new season airs. Did you like season 2 and how excited are you to see the third season A&E’s Bates Motel? 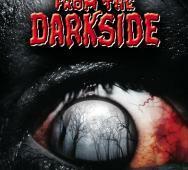 The CW is bringing back a classic horror TV series… Tales From the Darkside. 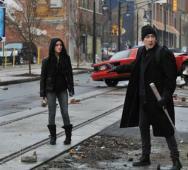 CW has just ordered the pilot to be scripted by Joe Hill (Horns, Locke & Key). Set to produce the new horror TV series are Joe Hill, Alex Kurtzman, Roberto Orci, Heather Kadin, Mitch Galin and Jerry Golod. I was a big fan of the original TV series that lasted for four seasons from 1984-1988. The original Tales From the Darkside was created by George A. Romero with some of his work along with Tom Savini and Robert Bloch. I cannot wait to see CW’s Tales From the Darkside, sounds great saying it. Horror legend John Carpenter is battling a bacterial infection but is expected to make a full recovery soon. 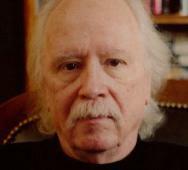 John Carpenter’s BAM appearance at the Howard Gilman Opera House this Thursday will be cancelled. We here at HellHorror.com would like to wish John a quick recovery. Please wish him a quick recovery on the Official John Carpenter Twitter account, thanks. Ex Power Ranger 'Ricardo Medina Jr.' Arrested for Murdering Roommate with Sword!? 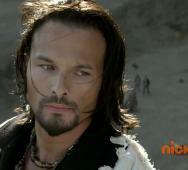 So in the wolder news today, Ex Power Ranger Ricardo Medina Jr. (Red Lion Wild Force Ranger also known as Cole Evans and as a villain on Power Rangers: Samurai) has been arrested for murdering his roommate (Joshua Sutter) with a sword. His arrest happened on Saturday January 31, 2015. The former Red Ranger allegedly stabbed his roommate to death with the samurai sword. Supposedly… Medina’s girlfriend stated that the two roommates were in a heated argument when Medina retreated to his room but Sutter ran in too, forcing his way into the California residence. Medina then defended himself by stabbing him to death. I am not sure how this will rule out but it does sound weird. 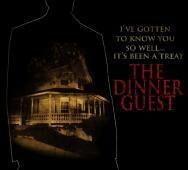 New thriller movie The Dinner Guest (2015) from co-directors Joseph Dean Martinez and James Neff now has a trailer and poster attached to the movie. This is an upcoming indie horror movie that is currently in production. The film looks like it may be a gem from Night Walker Cinema. The Dinner Guest is basically a home invasion movie that is very creepy, a Jigsaw narration really sets the tone for the new movie. Cast in The Dinner Guest are Shawn C. Phillips, Jon Maxwell and Justin Little. This is the year for the Xbox One and Playstation 4 (PS4) to really start to shine. 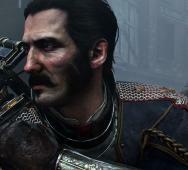 The new horror game releases for February 2015 include Evolve, The Order: 1886, Resident Evil Revelations 2 - Episodes 1-2, Lucius II: The Prophecy and Hektor. My highlights for this month are Evolve and The Order: 1886. Co-directors Tony Trov and Johnny Zito are bringing us their latest horror movie titled American Exorcist (2016). 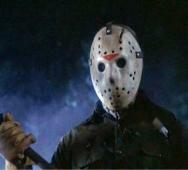 The horror movie is scheduled to release in 2016, no further details right now. The press release below details a demon exorcism on a haunted high-rise on Christmas Eve. Sounds different at the very least and I am interested so far. 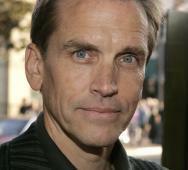 Cast in American Exorcist are horror icon Bill Moseley, Falon Joslyn and Jo Anna Van Thuyne. The Asylum has really shocked a lot of horror fans over the years but to have Nick Carter from Backstreet Boys not only act in their new zombie movie but also direct the film, wow! The Asylum has a great track record so I am not surprised in a bad way yet, just shocked. The new zombie film is titled Dead West and even though they are at very early stages of the movie, what an announcement. We will post more as news develops. That’s right folks, the Paranormal Activity house is for sale for $740,000. 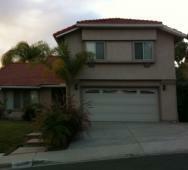 The house is located in San Diego and was in the 2007 Paranormal Activity movie. This is a 4 bedroom, 2.5 bath, huge patio, pool and basketball hoop home… mind you the found footage demon movie that was filmed in the home. Next door neighbor Marina Irvine said “It’s a great neighborhood, I think someone will buy this house quickly.” Check out the full video coverage from FOX News below. We have been reporting The Conjuring Sequel as The Conjuring 2: The Enfield Poltergeist (2016) for weeks now but it has now been officially titled on IMDB. Warner Bros. and James Wan are returning us to the famed cases of Ed and Lorraine Warren (played by Vera Farmiga and Patrick Wilson) but this time we are tackling the Enfield Poltergeist. The Conjuring 2: The Enfield Poltergeist is set to release in movie theaters on June 10, 2016. More details about the Enfield Poltergeist below. We are proud to announce our first Friday the 13th Giveaway for 2015 sponsored by our friends over at HalloweenCostumes.com/Fun.com. 4 total winners will be selected to win (1 choice item) of the following giveaway prize items featuring Jason Voorhees: Jason Bobble Head, Jason POP Figure, Jason Deluxe Head Knocker, Animated Jason Prop, Jason Candy Bowl, Camp Crystal Lake Sign and Female Jason Costume. Prize pictures and link/description details below. These are absolutely great giveaway prizes and once again it is a pleasure working with our sponsors. What a Valentine’s Day Prize! ?